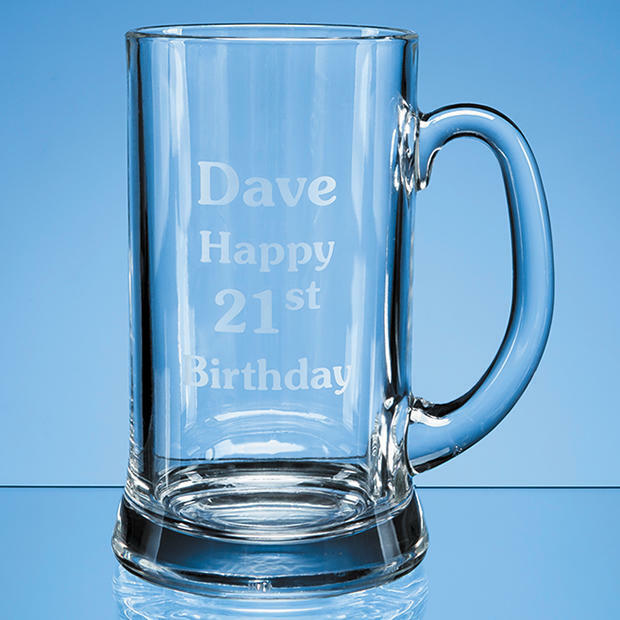 This 2 pint straight sided tankard, personalised 2 pint tankard, engraved 2 pint tankard is simply designed with a good heavy base and a classic curved handle. It makes a great gift that is always well received . This 2 pint tankard is great fun a t parties, and also great for sporting prizes. Personalised and engraved with your logo/badge/design and message the tankard is a perfect prize or award.